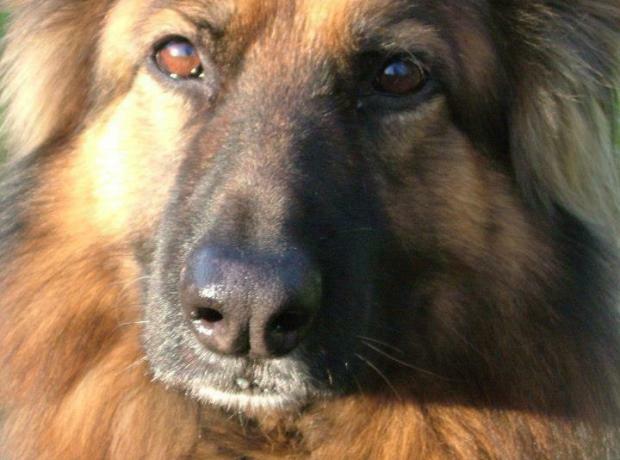 Once again the GSPCA have teamed up with the WEA to provide a course in animal care. The new course is an 'Introduction to Animal Care and Welfare' and gives a taste of working in the many different departments at the GSPCA whilst learning about animal care, behaviour and a hands on experience. The course is a 2 day workshop and for those taking part we would kindly ask that you have a basic knowledge in animal care. 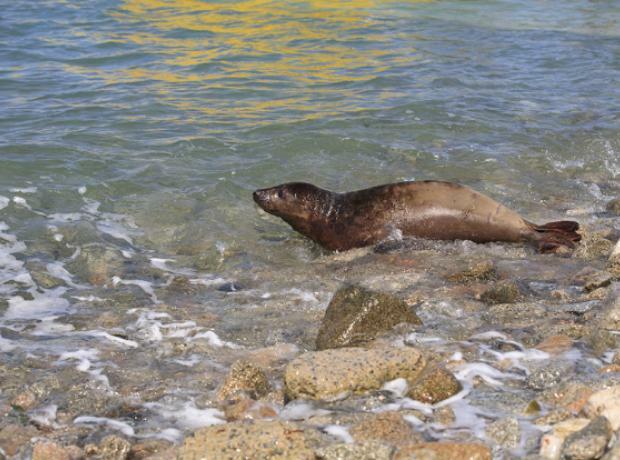 For the third time WEA teamed up with the GSPCA to provide a comprehensive course that not only provided essential information for pet care, but tackles the wider issues of wild animal welfare in Guernsey. 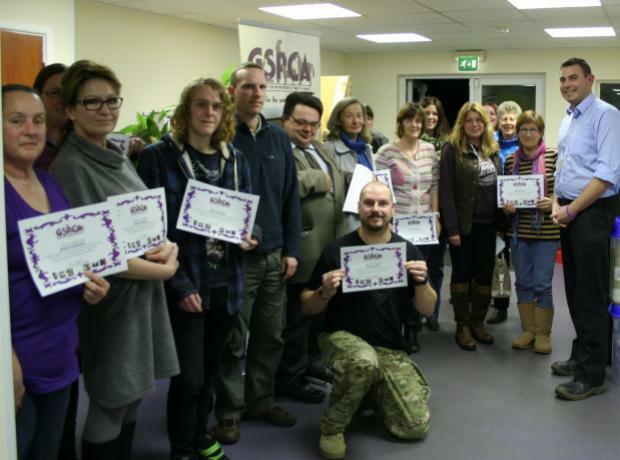 Once again the GSPCA held a Cat First Aid Course to help feline owners in Guernsey. With 300 cats killed on the roads and the Animal Shelter helping over a 1000 cats a year at the GSPCA we are always striving to help pet owners. Yesterday was the last cat first aid course of 2014 but there is a dog first aid course this Sunday and dates set for further courses next year. The GSPCA and WEA have teamed up once again to run an Animal Care and Welfare course at the Animal Shelter in St Andrews. 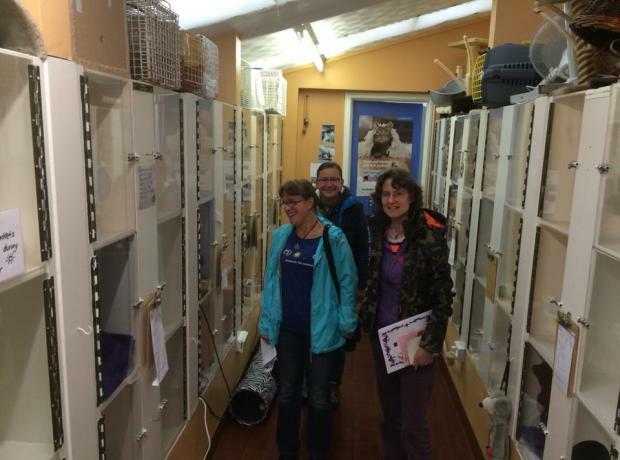 Last night at the GSPCA the second Animal Care and Welfare Course saw another 15 graduates. The Monday night course that started back in January has taken 8 weeks and covered a wealth of topics in caring for animals and working with them. Last night Sarah, Sue, Siriol, Carolyn, Marilyn, Michelle, Andrew, Simon, Craig, Lisa, Hannah, Zoe, Mandy and John had their last session which covered grooming and coat care. We also recapped the 8 weeks and had a Q and A followed by a presentation of certificates. Due to demand the GSPCA and WEA have teamed up once more to run the third Animal Care and Welfare course at the Animal Shelter in St Andrews. Yesterday the GSPCA welcome 11 ladies and one gentleman along to the first ever course of its kind to be held in Guernsey. After the success of the recent training at the GSPCA we are planning additional sessions through the year. The GSPCA and Guernsey Bereavement Service are teaming up for the first time to provide a training session in Pet Bereavement for those working or volunteering in the animal care industry in the Bailiwick of Guernsey. The session is set for Wednesday 23rd April 2014 at the GSPCA Animal Shelter in St Andrews. This January for the second time WEA are teaming-up with the GSPCA to provide a comprehensive course that not only provides essential information for pet care but tackles the wider issues of wild animal welfare in Guernsey. The first course started in September and has the it's last session this evening and was a sell out so please book your place early. Every week the classes have been interactive and full of experiences and discussions about animal care.